This is a Siemens pyramid model with the more elegant thinner bell set. 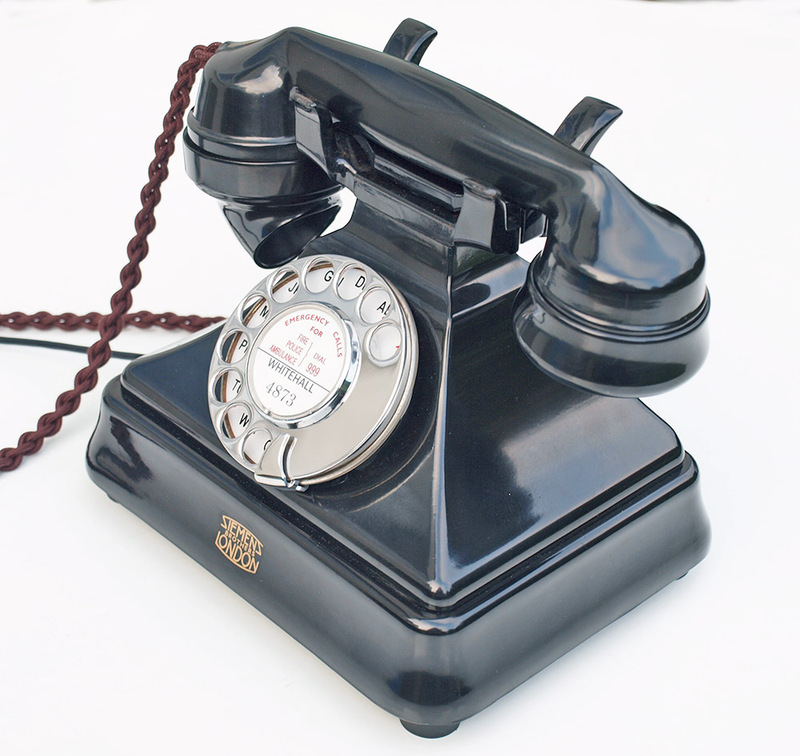 This telephone has been stripped down and rebuilt after each part has been cleaned and polished. The bell set contains double gongs producing a beautiful ring tone. 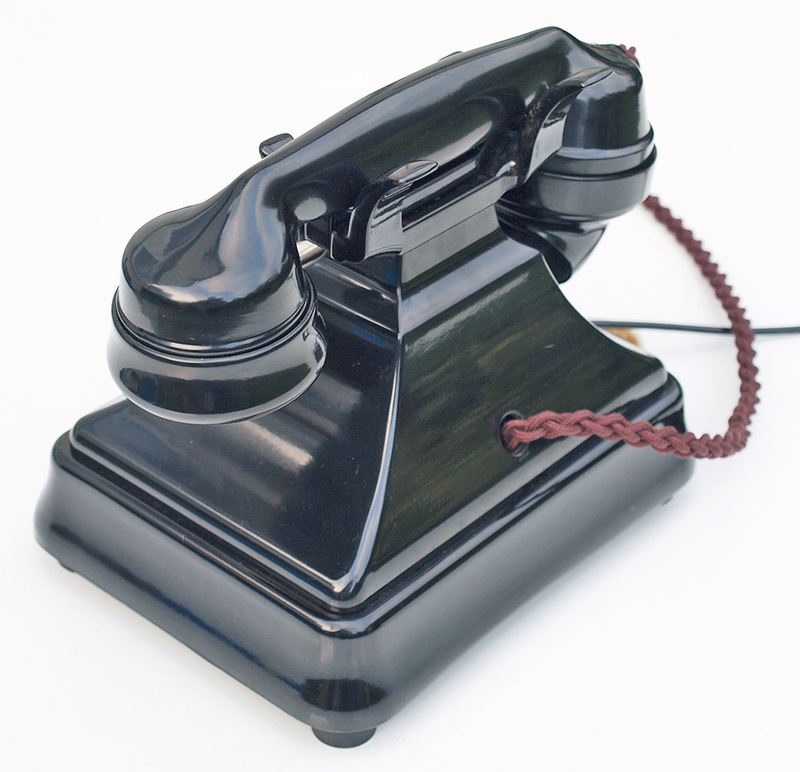 The handset is marked Siemens and the cradle is the early model and again is marked Siemens. 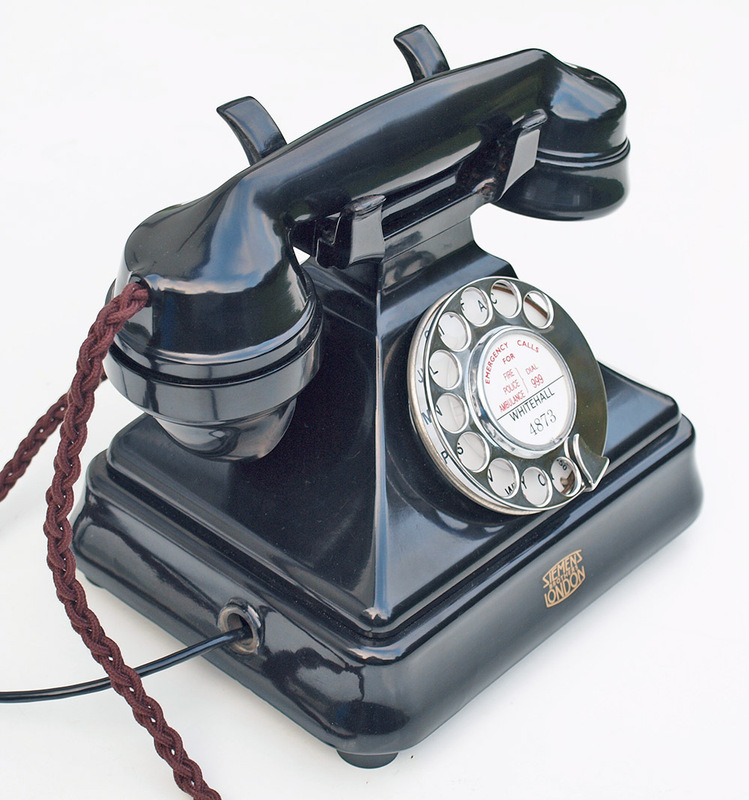 It is fitted with a best quality hand plaited GPO style braided handset cord, an electronic microphone and a GPO specification round plastic line in with a UK plug socket. 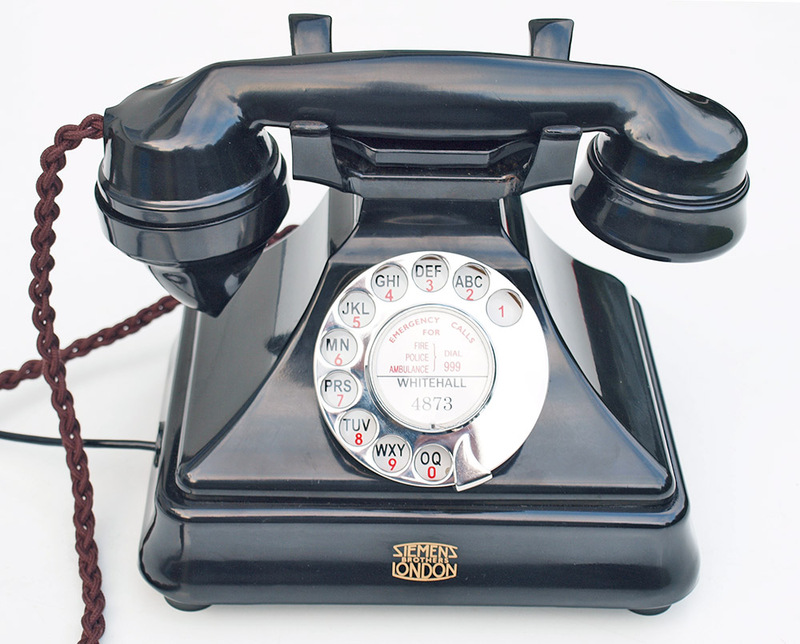 It has the earlier GPO No10 dial and this telephone has been set up on a special line simulator to make sure it will work perfectly with with both copper wire and cable networks to both dial out and receive. It has been tested on our own BT land line as fully working to simply plug in and go. I love Siemens models and search them out when I can. I can make a dial label with your infromation at no extra charge.